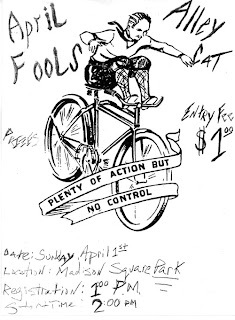 Sunday, April 1st is Steve Klein's Alleycat race with a whopping $1.00 entry fee. Steve is known for sending people miles away looking for the most unkown streets in NYC. pictures and checkpoints from last year.